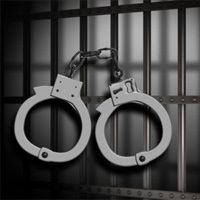 Qualified bondsman can help you with all of your bail bond requirements. We have three main offices to serve you from, Breckenridge and Wichita Falls. With bail bond agents in over 23 Texas counties, you will be served in a prompt and professional manner. Our experienced staff knows what it takes to keep our clients satisfied. Please feel free to view our County listings on the right for a list of the counties that we serve. If you need bail in an area that is not listed, please call, as it is likely we write bail there as well. Many of the bonds we write are by phone and in person. We are available 24 hours, 7 days a week and accept all major credit cards, checks and cash for your conveinience. Copyright © 2019 buddysbailbonds.com.com. All rights reserved..